Learn how to change your automated text messages. 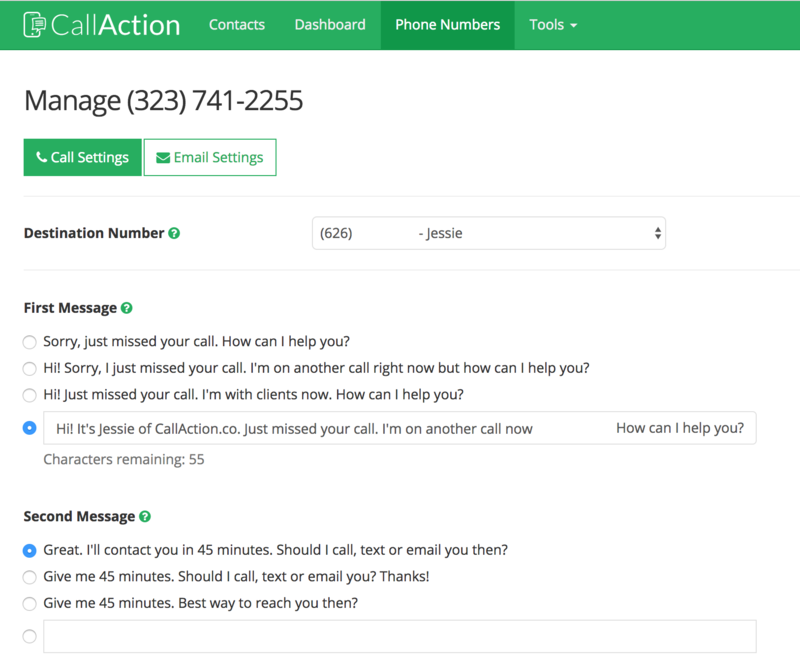 These are your first and second messages that respond to missed inbound calls to your CallAction phone number. Tip: If you have a website, be sure to include it in your first message as can drive traffic and keeps your leads occupied while you reply. Tip: You can also include 😀 / emojis to make it seem even more natural & personal. This improves your lead engagement & response rates. Congratulations, you have now personalized your text message!